For many people, an African adventure seems like a pipe dream - especially when you consider that private safaris in countries like Tanzania and Kenya can easily cost over $2,000 per day. However, there are other, cheaper ways to travel. Overlanding has become particularly popular, offering those with limited funds but plenty of spare time a way to experience the best of the continent for a fraction of the cost. Overlanding is the name given to tours that take groups of between 4 and 30 people on shared adventures through Africa. These tours travel from place to place in an overland truck, usually adapted so that it doubles as a convenient game-viewing vehicle. Often, the trucks are equipped to cope with the challenging conditions of Africa's more rural roads, and as such provide a way to access places you might not have seen in a regular car. Most nights are spent under canvas, in dedicated campsites where the chores of camp life are divided equally between the group. Itineraries usually include more than one country, and can last anywhere from just over a week to several months. Overlanding is often associated with younger travelers looking for an adventurous way to spend a few months in between high school and college, or college and their first job. Obviously, it's a natural fit for backpackers with the ability to take an extended period of time off; but it's also a great way to travel for just about anyone who likes the idea of an affordable, social travel experience. With that being said, you need to be fit enough to spend long hours in a vehicle and help set up camp every night. You must be able to get on with a diverse group of people from all walks of life, and you need to be willing to forgo your creature comforts. There are no luxuries on an overland tour. Why Choose an Overland Trip Through Africa? Price is obviously one of the biggest benefits of an overland tour. Sharing transport, fuel and food costs makes all three more affordable; while dividing chores between you means you're not paying for endless camp staff. Most overland tours charge a single fee that includes your guide, driver, transport, accommodation, meals and park entry fees. You'll also need to contribute to the group kitty, which pays for day-to-day essentials including fresh food supplies. Costs that aren't included range from your personal spending money to your airfare, visa fees and vaccinations. For some travelers, the no-frills nature of an overland tour is a serious drawback, but for others, it provides the opportunity for a more authentic experience. Instead of spending your time in an identikit five-star resort, you'll have the opportunity to meet local people, camp under the stars and shop for ingredients at rural markets. It's also a challenge - camping your way across Africa is something that you can be proud to have accomplished at the end of your trip. At the same time, overland tours can be a great first introduction to life in Africa, providing plenty of adventure while still offering the safety and support of traveling in a guided group. Lastly, overlanding is fun. It's a way to meet like-minded people from different parts of the world, and to forge close friendships that will last long after your trip is over. Most tours offer group activities (some of which will be included in the cost, others of which will be optional extras). If you're traveling solo but don't necessarily want to spend all of your time alone, overlanding is the perfect solution. 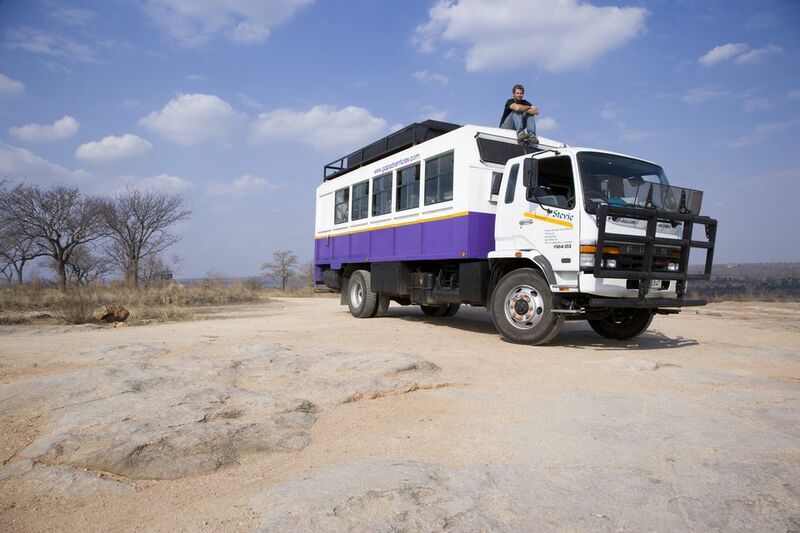 This 21-day tour from top overlanding company African Overland Tours starts in Cape Town and winds its way through South Africa, Namibia and Botswana to Victoria Falls in Zimbabwe. It's the perfect introduction to the highlights of Southern Africa, including the Okavango Delta, Nambia's Sossusvlei dune sea and breathtaking Chobe National Park. Included activities along the way range from township tours to wine-tasting and game drives, while accommodation is exclusively under canvas. Prices for 2018 start at R15,000 (plus a $500 contribution to the kitty). Run by respected South African overland company Nomad Africa Adventure Tours, this 47-day itinerary takes you from Nairobi to Johannesburg. Along the way, you'll visit Kenya's legendary Maasai Mara National Park, go gorilla trekking in Uganda's Bwindi Impenetrable Forest and relax on the paradise beaches of Zanzibar. In total, you'll visit eight of the most beautiful countries in Southern Africa - including Kenya, Uganda, Tanzania, Malawi, Zambia, Zimbabwe, Botswana and South Africa. Prices start at R60,130 with additional fees for your gorilla trekking permit and activities package (optional). Oasis Overland offers the ultimate trans-Africa adventure with this 17-week itinerary that takes you all the way from Cairo in Egypt to Cape Town in South Africa. You'll visit a total of 12 countries, including Southern African favorites like Namibia and Kenya; and more off-the-beaten track destinations like Ethiopia and Sudan. The included activities are pretty spectacular. They range from pyramid tours in Egypt to river safaris in Botswana, while the dramatically different scenery you'll see along the way is a trip highlight in its own right. Prices start at £3,950, with a kitty contribution of $1,525.